Paris– probably the world's most photographed city– was the point of departure for major cycles, especially in the 20th century. Art photographers sought confirmation of a myth there, or called it into question. The exhibition shows how photographers, both French and immigrant, saw Paris and explored it with their cameras. Their gaze oscillates between documentary interest and subjective perception, the chronicler's responsibility and the projection of personal feelings. It covers a time range from Eugène Atget around 1900 to the present day. In between are works by Brassaï, André Kertész, Robert Doisneau, Peter Cornelius, René Burri and other photographers. 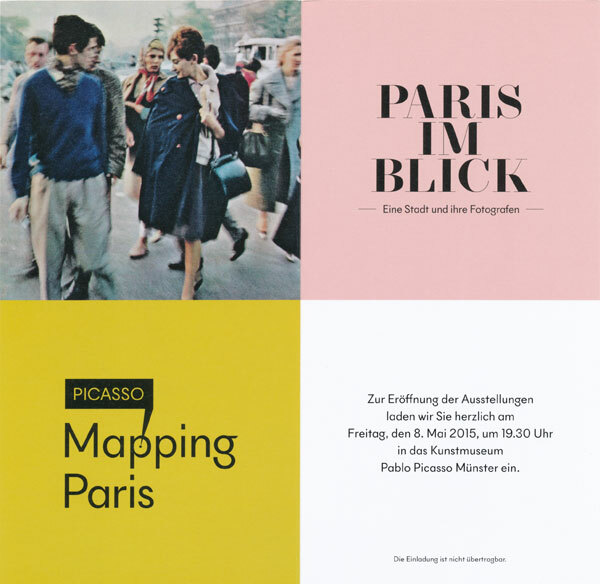 The exhibition is supplemented by famous photo books that have had a lasting impact on our idea of Paris.